Dartmouth is a small (and perfectly formed) town – but it has so many special and fun events throughout the year you would be forgiven thinking it is much bigger. The town has, since time immemorial, been good at throwing a great party – the proud tradition of the Port of Dartmouth Royal Regatta proves that. If you have never tried some of the events and festivals in Dartmouth then you are missing a treat! 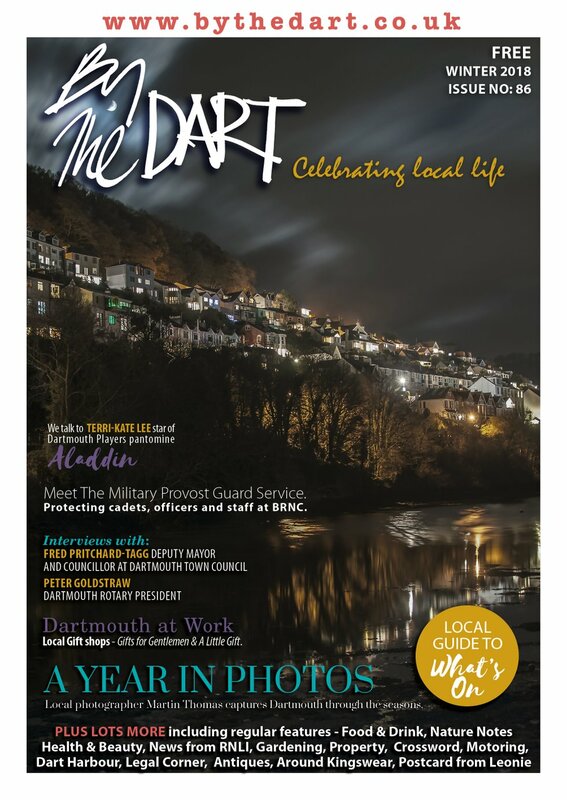 Dartmouth has events to suit every interest and they are spread throughout the year so, no matter when you want to visit, chances are there will be something amazing happening in the town. 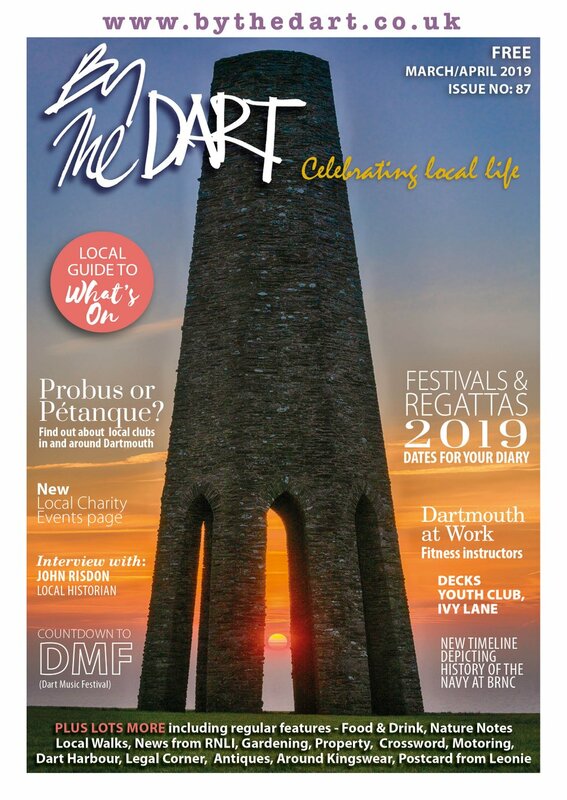 The events are welcoming and fun for all and reflect the beating heart of the Dartmouth community: exciting, imaginative and great for the whole family! Putting Dartmouth on the comedy map is Marchs’s Comedy Festival. Its patron, Peter Richardson, was one of the main creative forces behind the 80s legend the Comic Strip, which launched the careers of Jennifer Saunders, Dawn French, Rik Mayall, Adrian Edmondson and Robbie Coltrane. We are delighted to announce that this year - the eighth year - the line-up boasts some of the best of British comedy including Matt Harvey, Lucy Porter, Patrick Monahan and Sean Hughes and is full of stand up, variety, kids shows and penguins – of course. The Festival runs from Tuesday March 4th to Saturday March 8th at the Flavel Theatre and venues around Dartmouth. Prepare to chortle and laugh your socks off – because as we know laughter is the best medicine possible. Dubbed ‘the best small music festival in Britain’ Dart Music Festival has been running since 1998 and its fifteen year history has been full of success. More than 100 gigs take place throughout the town over a long weekend in May, from intimate performances by singer songwriters to large scale choral shows at the Britannia Royal Naval College to big, bouncing Bhangra gigs in the Royal Avenue Gardens. There really is something for everyone at this friendly and positive event. Most of the gigs are free, so there is nothing stopping you from coming down and having the musical weekend of your life! The second week of August every year sees the town’s Inn Theatre Company transform the historic Dartmouth Castle at the mouth of the river into the hub of a theatrical extravaganza. The Dartmouth Shakespeare Week has built a loyal following and there are few more beautiful venues to watch a performance of works by the Bard of Avon. Started in 2003, more than 12,000 have watched the band of local performers and now each year sees performances throughout the town as well. Well worth a visit if you are a fan of Shakespeare or live performance. Dartmouth’s Regatta has been Royal since Queen Victoria and Prince Albert visited it in 1856 – and its long history is only one of the reasons for the amazing buzz around the town when it happens every year around the last Friday in August. Dubbed ‘the Best in the West’ there is something for everyone during the week, with sporting events including sailing, rowing, running, swimming and tug of war, as well as air displays, a fair ground, grand balls, rock concerts and firework displays. Most years, the Red Arrows also perform above the town and you will not see a more dramatic theatre for their exhilarating aerobatics than the Dart valley. 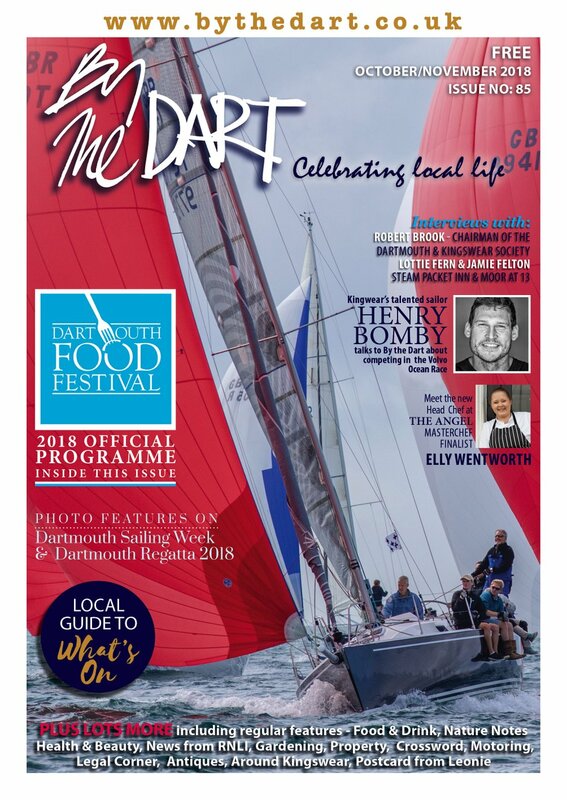 Dartmouth has built a considerable reputation over the last decade as a destination for food lovers – and the development of the town’s Food Festival has mirrored that growth in status. Each year in October some of the greatest names in the culinary sphere come to our beautiful harbour town, creating some delectable and awe inspiring events. There are public kitchens in which a raft of top chefs will show you how to create delicious dishes step by step; cookery competitions, fundraising galas, exhibitors selling the very best produce, books and flavourings and so much more. The ink to 'For a full list of Dartmouth's Festival & Events click here' is broken.